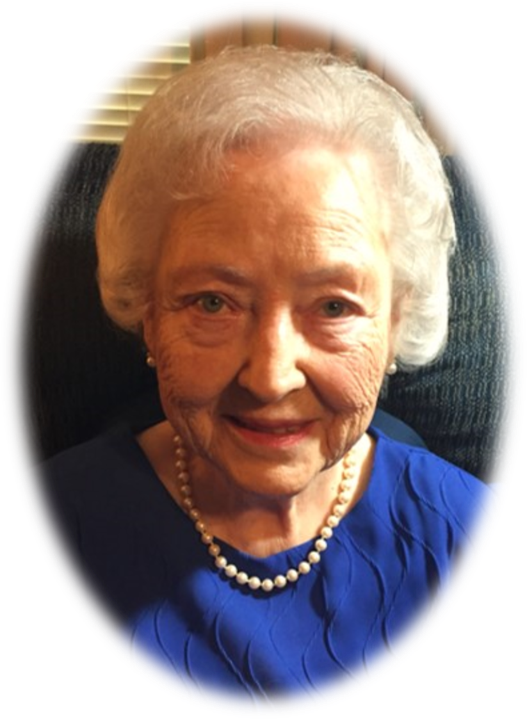 Mrs. Mary L. (Barrett) Clark, age 89, passed away peacefully at home in Gainesville, Georgia surrounded by her family on Saturday morning February 2, 2019. Mary was born on July 12, 1929 in Cleveland, Georgia, to the late Fannie Bell Hewell and the late Charles Barrett. Mary met the love of her life in Gainesville, GA and married James Ed Clark in 1954. Mary was a long time member of Mt. Vernon Baptist Church in Murrayville, GA. She had been an active member of the Lanier Shrinettes and served as an auxiliary volunteer for many years with the NE Georgia Medical Center. Mary was a loving and dedicated mother to her children and was an especially cherished grandmother to her grandchildren. She treasured her family and embraced every moment with them. Her life was a living example of unconditional love to them all. She was preceded in death by her brothers, Jimmy Hewell and Joseph Hewell; and sister, Dellie Guyton. Mary is survived by her devoted husband of 64 years, James Ed Clark; her son, Michael Clark; daughter, Patricia C. Monroe and her husband Andy; and two grandsons, Austin Monroe and Adam Monroe; and future daughter-in-law Stacie Leggett. She is also survived by her brother, David Hewell of Gainesville, GA. The family is very grateful for the loving, kind and devoted care shown to Mary by Heather Ernest over the past two years and would also like to thank the caregivers of Hospice of Northeast Georgia Medical Center for their caring presence this past week. Flowers are welcome, but in lieu of flowers, donations in Mary's name may be made to Mt. Vernon Baptist Church; Shriner's Children's Hospital; or Hospice of Northeast Georgia Medical Center. Visitation will be Monday, February 4 from 2:00 to 4:00 p.m. & 6:00 to 8:00 p.m. at Memorial Park, 2030 Memorial Park Road, Gainesville, (770) 287-8227. The funeral service, officiated by Steve Baker, Senior Pastor Mt. Vernon Baptist Church Murrayville, GA, will be Tuesday, February 5 at 2:00 p.m. in the Chapel of Memorial Park Funeral Home. Mary will be dearly missed and will be forever in our hearts. The funeral service, officiated by Steve Baker, Senior Pastor Mt. Vernon Baptist Church Murrayville, GA, will be Tuesday, February 5 at 2:00 p.m. in the Chapel of Memorial Park Funeral Home.